At Ace Roofing, we love helping our customers with their roofing needs in Charlotte, NC. When it comes to a major investment like a roof, you want to make sure that you fully understand everything involved and all your questions have been answered. We have heard hundreds of questions about roofing over the course of the years, but there are some that pop up more frequently than others. In the interest of helping you make informed decisions about your roof, here are some answers to questions you might have about roofing. With age, your roof’s waterproof layer breaks. This is often caused by some sort of damage to the shingles, deterioration of your roof, or direct damage to the waterproofing. It’s best to deal with leaks proactively. 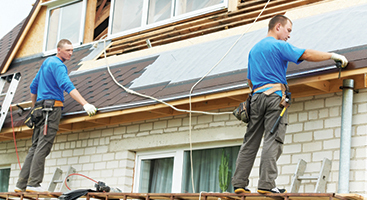 Inspecting your roof for any defects that may cause leaks is the best approach. If I have a leak, do I need to replace my roof? Not necessarily, but maybe. It depends on the cause of the leak. If it is caused by damage to a small part of your roof or faulty flashing, it is likely that all you will need is roof repair. However, if it is due to your roof failing because it was not installed properly or with inferior materials, you may need a brand new roof. What signs indicate that I need a new roof? Like any part of your home, your roof will age depending on several factors, including the quality of its construction, how much damage it has accrued, how well it has been maintained, and how well designed it is for its environment. If a roof has not been properly designed and installed or you haven’t properly maintained it, it may last you a mere seven years before you need to replace it entirely. However, if it is well-designed and you have conducted proper maintenance throughout its lifetime, your roof could last you 30 years. Generally, you can expect your roof to last you 20 to 25 years, according to industry standards. How do I get rid of mildew on my roof? This is less of a concern with newer roofs, as most types of new shingles also include a mildew inhibitor in order to prevent this issue. If you have mildew on your roof, you can usually address it with a mildew cleaner, which you can find at most home improvement stores. These cleaners won’t damage your roof. When should I clean the gutters? You should clean your gutters at least once or twice a year in the fall. How long will it take you to replace my roof? Replacing an entire roof requires a lot of work, and how long exactly it will take depends on the size and intricacy of your roof. In general, it could take anywhere from one day to a week to replace your roof. Additionally, inclement weather can cause your roofing project to be put on hold. Repairing or replacing your roof is not a good DIY project. Roofing can be dangerous, and professional roofers are specifically trained and have years of experience with how to properly repair roofs in a safe and effective manner. If you have never done roofing before, then you run the risk of causing some serious damage to your roof and potentially yourself. While you may be able to do certain maintenance by yourself, such as inspecting your roof for broken shingles or cleaning out your gutters, the majority of other tasks are best left to professionals. Save yourself from the potential added costs of a job poorly done and contact Ace Roofing for roofing. Can’t I just install my new roof over my old roof? If you are trying to save time or money, you may wonder if you could just install your new shingles over the old ones. While this would be faster and less expensive initially, these types of shortcuts cost you in the long run. Unless you have no problems with your current roof (which is unlikely if you are trying to replace it), your new roof may fail much more quickly when built on a subpar foundation. It is best to strip the old materials off your roof to the deck, then add the new materials on top. This ensures that any defects in the old roof are not translated to the new one. You will definitely need to remove an old roof if you see any of the signs you need to replace it listed above. What materials do I need to use? 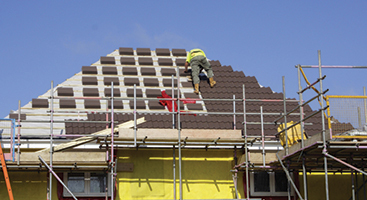 When it comes to roofing materials, you have many options. Shingles are the most popular style for residential roofing, but you can choose between composite shingles, asphalt shingles, concrete or clay tiles, metal roofing, slate shingles, and wood shingles. 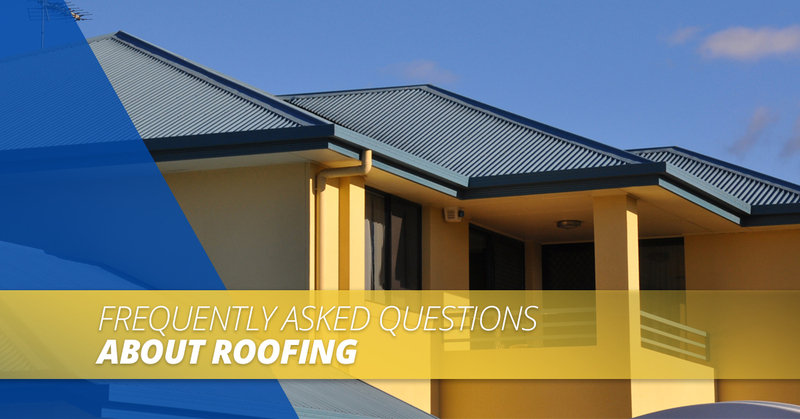 Hopefully, these answers have helped you understand your roofing needs more. If you still need help, contact Ace Roofing in Charlotte. We are proud to provide you with the roofing services you need to make sure your Charlotte home can withstand whatever is thrown at it. 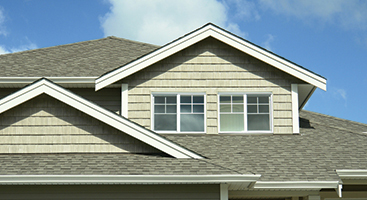 Contact us today to learn more about our North Carolina roofing company!